This sounds so cool and the cover is awesome, too. Definitely looking forward to it! I'm intrigued! Looks really good, plus I like the cover. A great choice! I have added this one to my TBR list. Oh loving the premise of this one. I love shape shifter and the starcrossed lovers add a great element. Great pick! I love this cover! It looks so exotic. I have this in my wishlist for..a few months now, I think? Great pick! Here's my Waiting on Wednesday pick. I agree that this one sounds completely fantastic! I have never heard of it, but I will definitely be adding it to my list now! Sounds very interesting but the cover kind of creeps me out. Not a snake fan and the fact that it's wrapped aronund her neck makes me think it's choking her or something. Still, sounds great though! Ooooh! I want!! This one sounds awesome! :D Great pick! Wow! This one sounds incredible. I love the fact that it's set in Sicily and it's similar to R&J. Thanks for sharing this one; I am adding it to my TBR list immediately. What a neat idea for a book! Great pick! I automatically assumed this was *yet another* paranormal romance but after reading the summary this actually appeals to me so much! Thanks for putting it on my radar! This sounds amazing!! THe cover is definitely cool, if not a little creepy! Goodness that does sound very exotic. I would be freaking out if a snake was wrapped around my neck though. This sounds intense, good choice. This sounds AWESOME. I hadn't really looked at it when I saw it in the Harper catalog, but now OMG! Thanks! You're right: it DOES sound exotic! I hadn't heard about this one yet. Nice choice! That first line sucked me in too! I haven't heard of this one before now, but it certainly sounds interesting and is going on my list. Thanks for mentioning it! 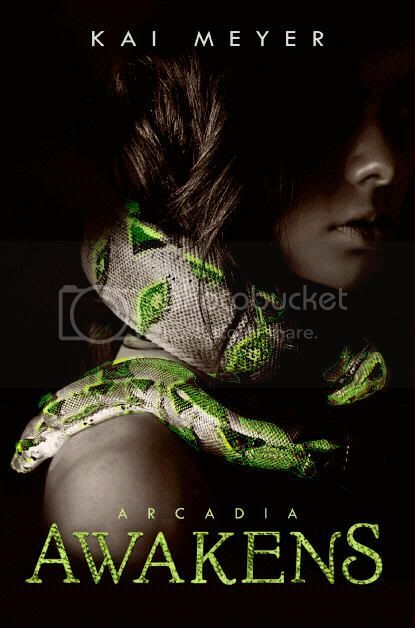 Loving the cover of this one (don't know why -- snakes are so not my thing). Great pick! Sounds very awesome. It's going on my wishlist. I hadn't heard of this one before, but it sounds AWESOME! It has it all -- mafia and weretigers and romance! Great pick!